This is a new piece that I've just added to the Sally Huss gift art line. 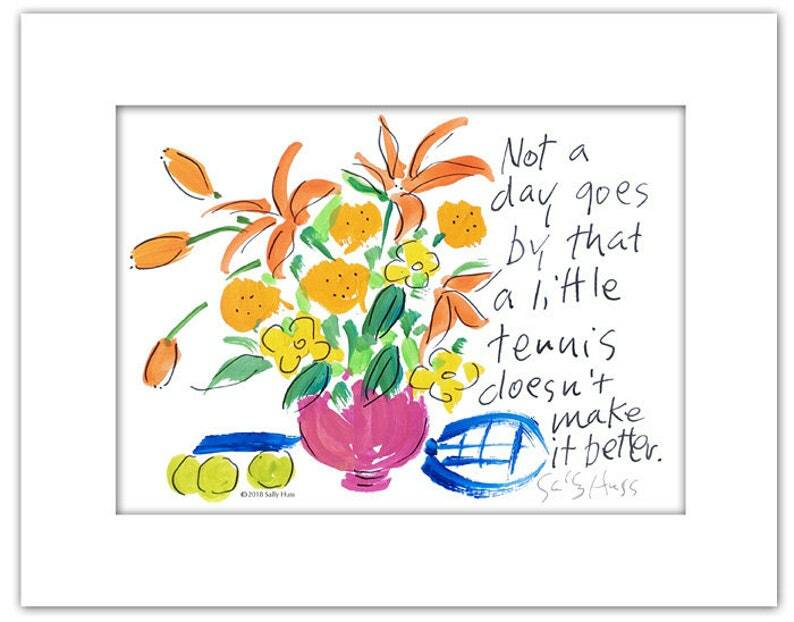 I'm a tennis play and I can vouch for the truth of this statement -- yes, tennis does make the day better! The original art was done in acrylic with the line work in ink. It is hand-signed by me and comes matted with the outside dimensions 8"x10." It will fit nicely into any standard 8"x10" frame. Enjoy!